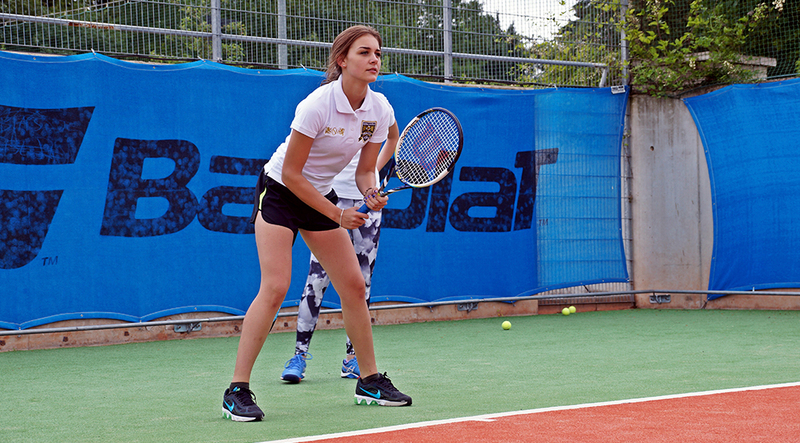 The summer camp from the MSM Tennis Academy is suitable for students from 14 years old. The course includes intensive tennis training and English language classes. The course is equally suitable for amateurs and professional players. The course plan is based on individual training for each participant and individual training schedule. The professional staff of the MSM Tennis Academy and great facilities will help the students to improve their skills. The Czech tennis training is considered one of the most advanced in the world and Czech tennis players are among the award winning elite. The course includes individual training and classes in mini-groups, as well as cardio training. Tennis courts surface: clay courts – they produce a high bounce and are widely used in professional tournaments. The classes take place in the MSM Academy international language school. organizes trips to foreign language courses in the world-renowned language centers. Language: basic English language skills – A1/A2 – only for communication with the staff. Throughout the whole period of the course the students are accommodated at the residences Villa MSM ( U Svobodarny), Dejvice, Orlik and Masarykova kolej. All residences have the same standards of living. Students are accommodated 2 people per room, two rooms per apartment. Every apartment has separate bathroom amenities. All photos are available online at the MSM Gallery – accommodation section. The International Union of Youth prepared the most exclusive way to spend summer holidays– study along with active sport and eventful vacations! After graduation, students receive certificates of successful completion of the course. 24/7 councilor support throughout the stay with MSM. All participant of the course receive MSM uniform – shorts and a T-shirt from companies Nike and Joma.